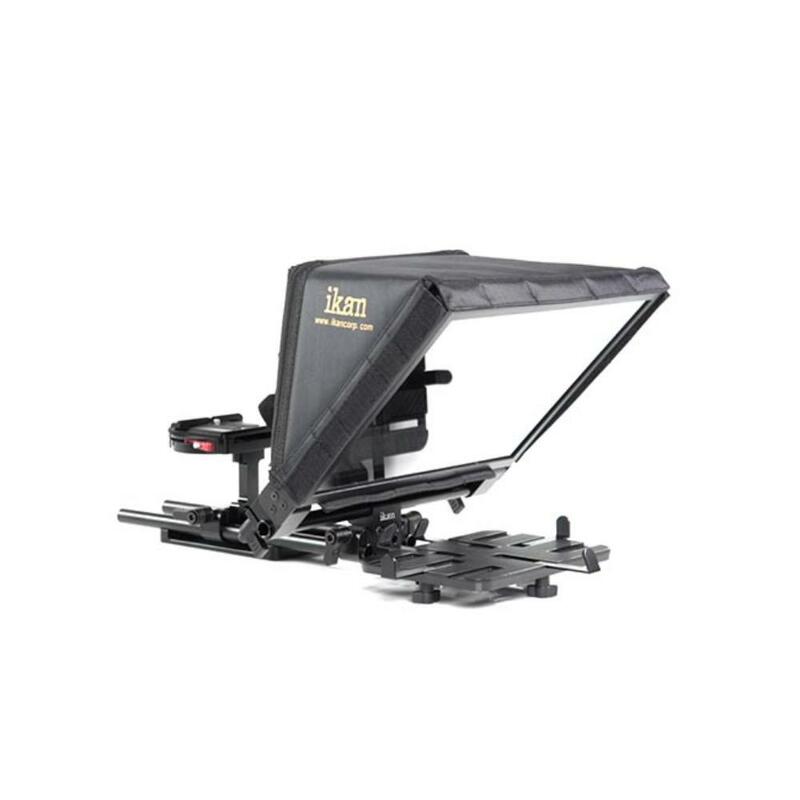 The Ikan Elite V2 Universal Tablet Teleprompter boasts a modern design that provides the teleprompting experience through a tablet (tablet not included). Attach your tablet to the universal frame (compatible with tablets sized 5 x 7.5" to 8 x 10.5") and the scientific-grade 70/30 glass provides a crisp reflection with a reading distance of up to 20'. On the opposite side is a sturdy quick-release mounting point for cameras ranging in size from small mirrorless, like the Sony a7 III, to camcorders like the Canon C200 and Panasonic AG-DVX200. All of this sits on a pair of 12" 15mm rods with a tripod-mount platform for easy attachment to support equipment. The glass sits inside a magnetic frame that folds down for quick transport. 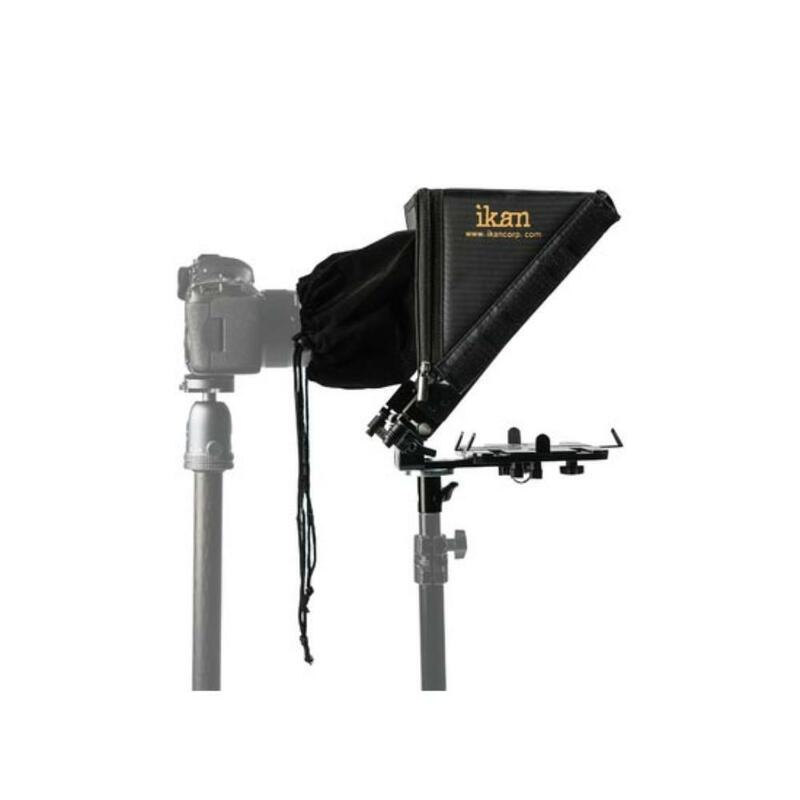 The Ikan Elite V2 Universal Tablet Teleprompter is ideal for documentaries, YouTube, and news projects. • Downloading a teleprompter app may be required. See A Prompter for Android, Teleprompt+ 3, or Teleprompter Premium. • This teleprompter kit does not come with a camera or tablet. • This teleprompter kit is not compatible with iPad Pros. • Compatible with Tablets 5 x 7.5" to 8 x 10.5"
• Dimensions: 22 x 10.5 x 12"